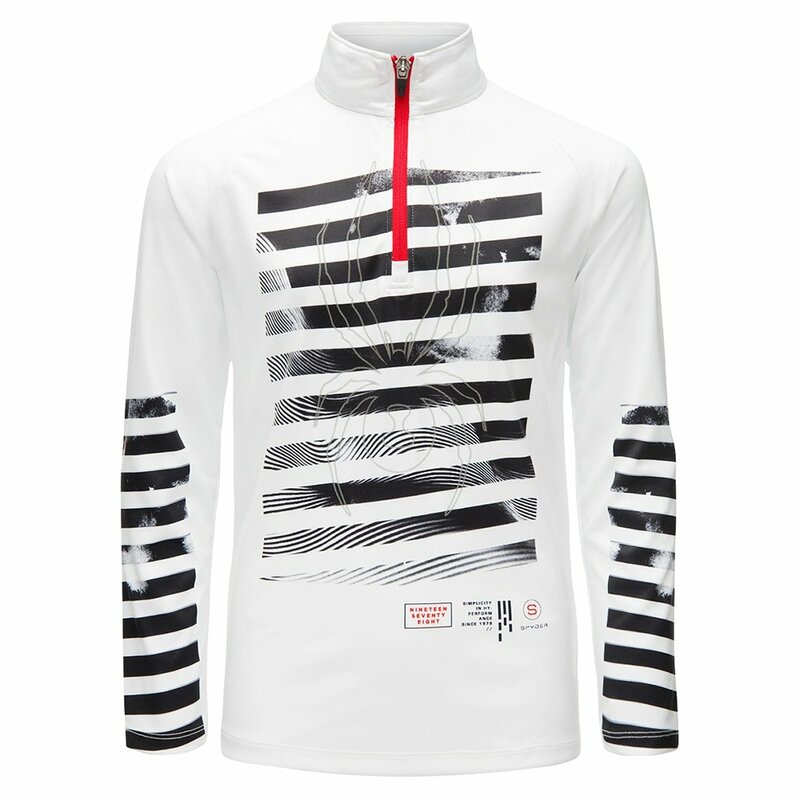 Give him adult level performance from his mid-layer with the Spyder Limitless Perfection Zip Turtleneck Mid-Layer. This comfortable piece is made from a stretch polyester for improved mobility and features Spyder’s DryWEB™ technology for quality moisture wicking that keeps him dry all day long. The Front half zipper makes for easy adjustments an on/off, while the custom graphics make this one of the more unique looking pieces you’ll see on the slopes.